The Hotel Istana is a 23-storey hotel with 505 rooms located in the heart of the Golden triangle business district of modern Kuala Lumpur, home to the world’s tallest building, the Petronas Twin Towers. Hotel Istana Kuala Lumpur City Centre is ideally situated on four acres of land at the corner of Jalan Raja Chulan and Jalan Sultan Ismail, with shopping facilities at its doorstep. 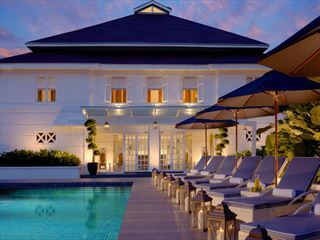 A walking distance from the famous Bintang Walk, which is well-known for major shopping malls. It is also in the heart the city’s various entertainment nightspots and financial district. 38.1sqm. Tastefully decorated with warm earthy colours and decorated with traditional fabric accessories. Ideal for corporate and leisure travellers. Choice of king-sized or twin beds. 38.1sqm. Located on 18th - 20th floor. All suites offer exceptional views of KL skyline. Fully-equipped gymnasium complete with seperate male and female steam baths, sauna and a whirlpool. A personal trainer is available for guests who require assistance in fitness workout. From the ancient to modern treatment, professional therapists will bring you to a total relaxation. Refining and renew your spirit of body, mind and soul. 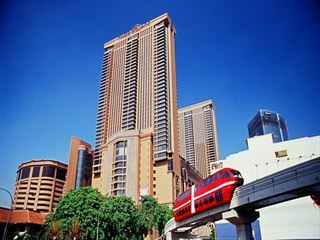 The real fun of Kuala Lumpur lies in sightseeing, shopping, walking leisurely and in the endless residential lanes. 2 children under 12 years old can share any room with 2 adults. Urban is a contemporary fine dining restaurant offering a spacious, relaxing and informal ambience. Taman Sari, which is Malay for Garden of Flowers , is a delightful Brasserie overlooking landscaped gardens and the adjoining swimming pool. Adjacent to the Taman Sari Brasserie is the Istana Bakery, offering freshly-baked gourmet chocolates, breads, pastries and cakes. A spacious lobby lounge offering a serene view of the adjacent landscaped gardens and swimming pool, the Songket Lounge presents an ideal rendezvous for guests to relax, unwind and enjoy a quiet drink. guests catch up with the latest sports updates and watch live screenings at the bar. With over 100 dishes to choose from some of which India’s most popular dishes such as Amritsari Fish, Nooraini Kebab, Aloo Tandoori, Palak Paneer and Paneer Tandoori just to name a few.